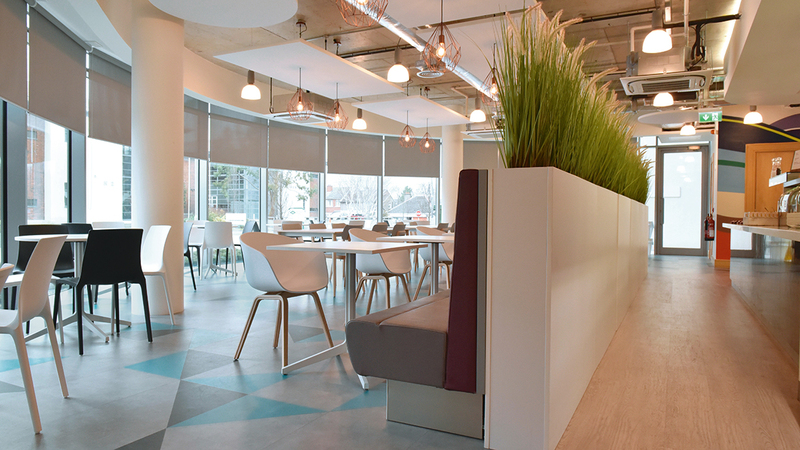 The project involved the design and fitting-out of a new staff canteen for CarTrawler, one of the world's largest providers of online car rental services. 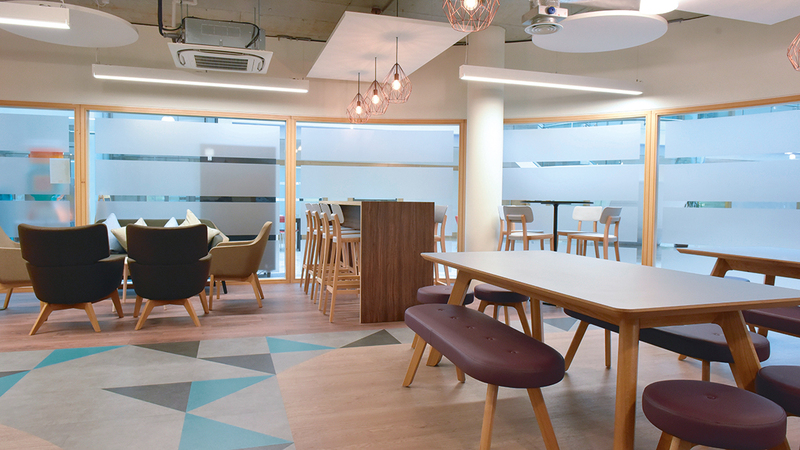 A selection of Forbo vinyl tile products were chosen to designate different seating and circulation areas within the canteen. A mixture of wood effect and block colours provided the necessary contrasting finishes.